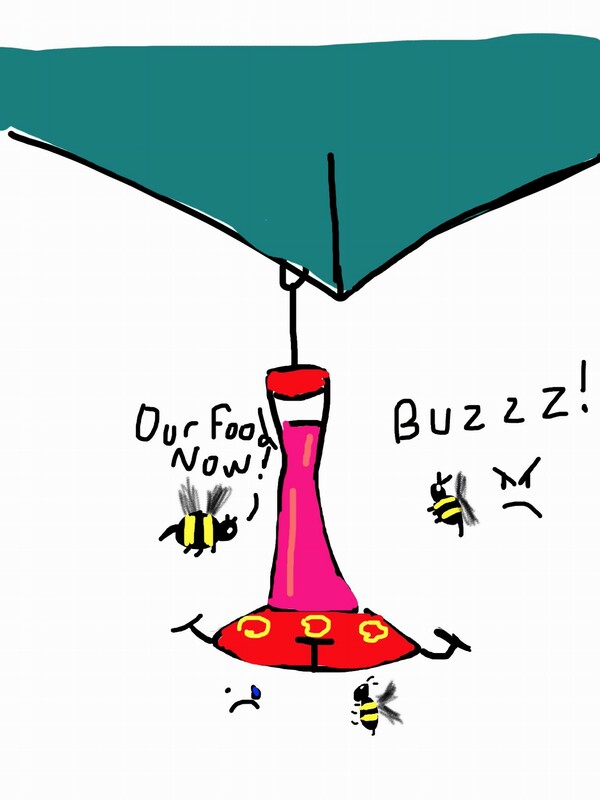 This entry was posted in Main Board and tagged bees, cartoon, feeders, funny, hilarious, hummingbird feeders, hummingbirds, humor, sugar water by underwhelmer. Bookmark the permalink. I love hummingbirds. Have a tattoo of one. 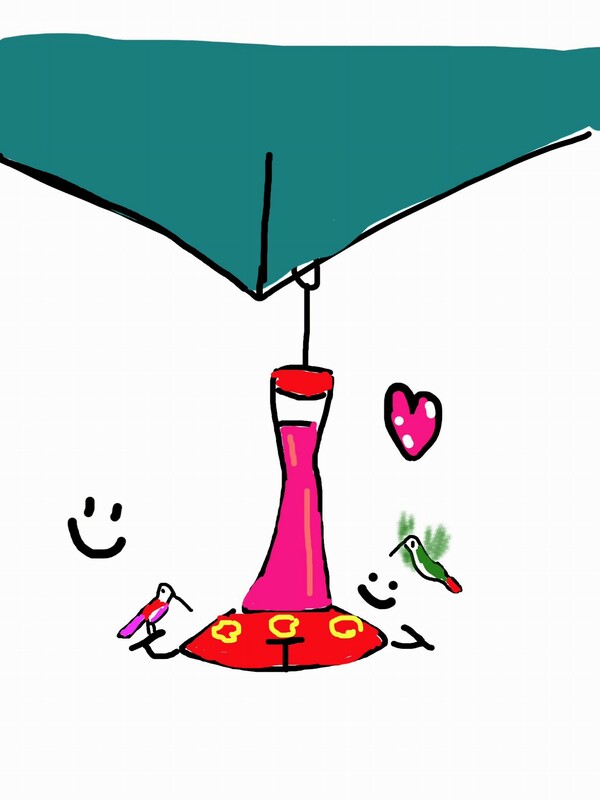 My little grandma and grandpa would also have me help make the hummingbird feed and out of the feeders. I loved it. So, this spring I bought a feeder and hung it up and my apartment. I saw a couple hummingbirds partake. Then I woke up one day 2 and all the sugar water was gone! Did I have a diabetic, morbidly obese hummingbird on my hands? 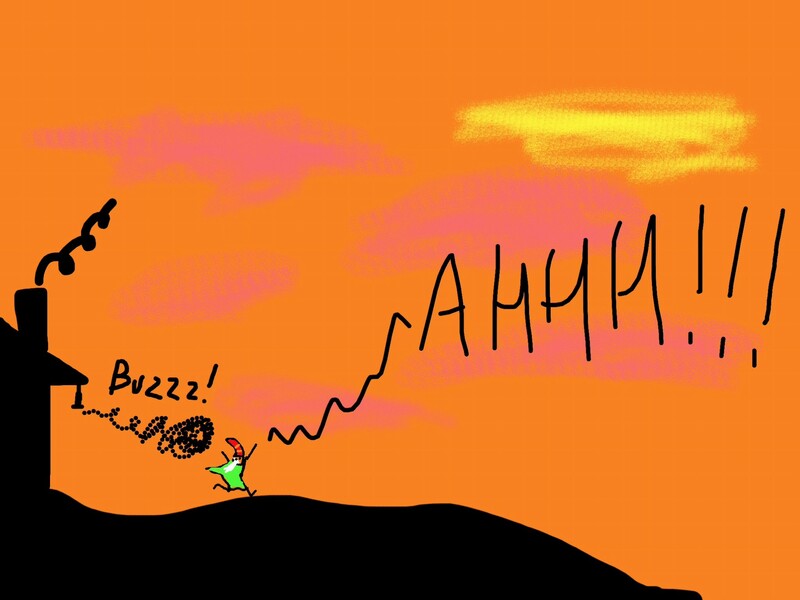 Or a giant, man eating/sugar water drinking hummingbird?! No, neither of those entertaining things happened. Because I refilled the sugar water and later that evening heart a *THUMP!! * on my balcony. I turn on the outside light and see a frigging Racoon just chilling on my balcony railing, getting turnt up on sugar water. A Flowbee? Draw a Flowbee for me? I remember the hummingbirds trying to dive-bomb me whenever I had to fill the feeder. I thought they were hornets. I think I would have preferred for them to be hornets, those birds were mean and we were feeding them!